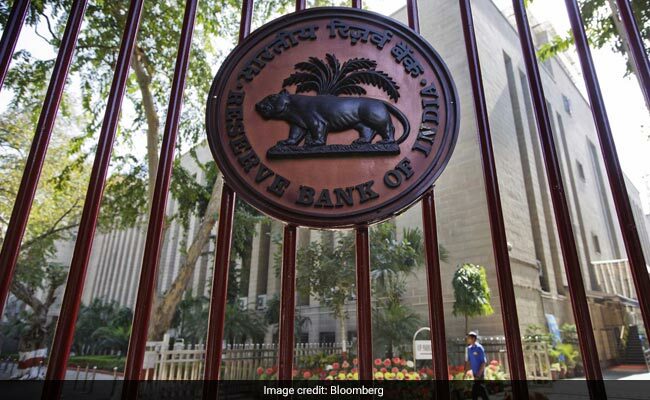 The final Reserve Bank of India (RBI) monetary policy review for 2017-18, combined with earning results from India Inc. and the flow direction of foreign funds are expected to set the course of key equity indices in the coming week. Market observers opined that other factors, such as the Indian rupee's movement against the US dollar, global crude oil price fluctuations and developments on the economic reforms front will influence investors' risk-taking appetite. "Weak sentiments may remain in the market... as investors will closely watch each development of the monetary policy committee (MPC) meeting," said D.K. Aggarwal, chairman and managing director of SMC Investments and Advisors. According to Vinod Nair, head of research, Geojit Financial Services, higher-than-expected fiscal deficit target for FY19 of 3.3 per cent, rising inflation and yield may push RBI to be more "hawkish" on interest rates in the upcoming monetary policy review. The MPC is scheduled to meet on February 6 and 7, for the Sixth Bi-monthly Monetary Policy Statement for 2017-18. In its last review, the MPC had kept the key lending rate unchanged. Apart from the monetary policy review, Union Budget 2018-19 announcements like the levy of LTCG (Long Term Capital Gians) tax and a higher-than-expected fiscal deficit target for 2018-19 will chart the trajectory of the equity market. "Introduction of LTCG will have a short-term impact on the market. But history points out that the budget-led volatility may not extend for the long term and focus will change to earnings and other macro developments," Nair said. In terms of the earnings results, companies like ACC, BHEL, SAIL, Bank of Baroda, Mahindra & Mahindra, Oil & Natural Gas Corporation, State Bank of India and Tata Steel are expected to announce their quarterly financials in the coming week. "Earnings season is picking up pace, which is giving a sense to the participants to accumulate as long-term prospects remain intact," Nair added. Currency-wise, the rupee is expected to remain weak. It had depreciated by 51 paise to close at 64.06 against the US dollar from its last week's close at 63.55. "For the next week, higher bond yields and weakness in local stock can trigger further selling in the rupee. We can see USD/INR heading towards 64.50 levels on spot," Anindya Banerjee, Deputy Vice President for Currency and Interest Rates with Kotak Securities, told IANS. "On USD/INR, we can expect a range of 63.80 to 64.40-50 on spot over the next week." On technical charts, the underlying short-term trend of the National Stock Exchange's (NSE) Nifty has turned negative. "Technically, with the Nifty correcting for the fourth consecutive session and also breaking a trend line support in the process, the underlying short-term trend has turned down," Deepak Jasani, Head - Retail Research, HDFC Securities, said. "Further downsides are likely once the immediate support of 10,736 points is broken. Any pullback rallies could find resistance at 10,878 points-level." Last week, budgetary announcements like the levy of LTCG tax pulled the key equity indices -- the Bombay Stock Exchange's (BSE) S&P Sensex and the NSE Nifty50 -- deep into the red. Consequently, the barometer 30-scrip S&P Sensex tanked 983.60 points or 2.73 per cent to close trade at 35,066.75 points. Similarly, the wider Nifty50 of the NSE dived into the red. It declined by 309.05 points or 2.79 per cent to 10,760.60 points.